"The two principal stories at play in Wintering are bound together when the elderly, demented Harry Eide escapes his sickbed and vanishes into the forbidding, northernmost wilderness that surrounds the town of Gunflint, Minnesota—instantly changing the Eide family, and many other lives, forever." [Wintering is] an expedition worthy of much of the frostbitten, edge-of-your-seat survivalist fiction of Jack London ... Despite such compelling man-versus-nature attractions and concerns, at its heart Wintering is primarily a book about love and revenge, families and small towns, history and secrets. It’s a deftly layered and beautifully written novel that owes as much to William Faulkner as it does to Jack London ... Geye is a skillful, daring writer with talent to burn. Simultaneously epic in scope and deeply personal, Wintering is a remarkable portrait of the role that one’s environment — and neighbors — can play in shaping character and destiny. ...a masterfully crafted, deftly connected collection of stories involving the history of the Eide clan and the fictional town of Gunflint since Gus' great-grandmother's arrival there from Norway ... So much for the philosophy. 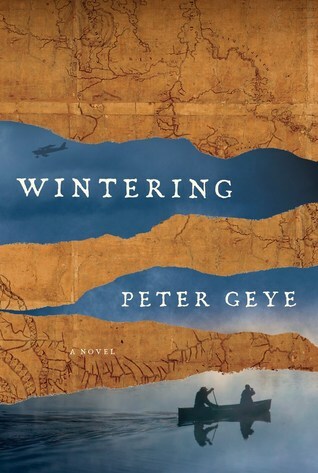 There's plenty of it in Wintering, but it's as taut and lean as Geye's muscular prose, which simultaneously shapes a thrilling and terrifying adventure story, pitting the Eides against darkness itself ... I was most impressed by how successfully Geye joins Harry and Berit's narratives, stitching together two frequently dissociated strands in American literature: its dramas of beset manhood and its domestic chronicles — often playing out in our fiction as a division between male and female writers. There’s a lot to love about this novel: the beauty of the wilderness, the tenderness of relationships, the craft. It’s easy to read scenes such as when Gus confronts a bear and think the novel is all outdoor adventure, but it’s more than that. When Harry shoots a doe, orphaning her fawns, the scene suggests Harry’s abandonment by his own mother. And when Harry claims the doe died falling from a cliff, you realize how much he wants to protect his son from sadness ... in the sharing of stories there is healing, if not complete comprehension — and that, it seems to me, is the point and triumph of this novel. What did you think of Wintering?